The former Soviet State of Estonia has been reorganizing its governing structures lately. Amongst the administrative reforms, the three municipalities of Kanepi, Kolleste, and Valgjarve merged into one new municipality simply called Kanepi. 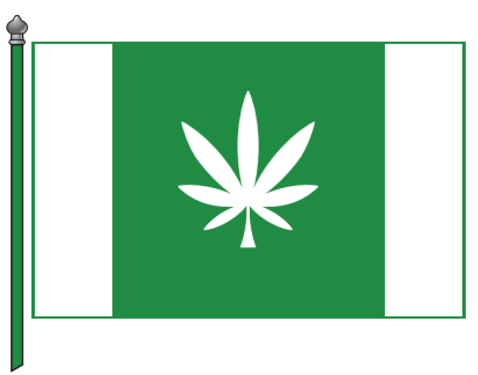 With a name that literally means “cannabis”, it’s no surprise that you might find some ardent supporters of the plant in the mix of the local population. And that theory seems to have played out. The new municipality of Kanepi recently held a design competition to create a new coat of arms, flag, and logo to represent its new administration. 23 designs were submitted in December and whittled down to seven finalists by a municipal panel in January, then voted on by the population at large. Out of over 15,000 votes, the citizens overwhelmingly chose one image. More than 12,000 citizens voted for a cannabis leaf. Despite this obvious nod toward acceptance of the beloved herb, other political barriers remain for Estonian patients seeking legal access. According to EstonianWorld.com, Estonia ranks as the 28th biggest cannabis-loving nation on the planet with about 6% rate of regular consumers. However, harsh penalties range from 3-5 years imprisonment for trading or growing the medicine, and only 13% of the population supports legalization. “While the people’s choice was clear, it is the municipality’s panel who decides what design will be submitted to the Government Office for approval. The panel, however, took the people’s wishes into account. Stay informed on the latest in European cannabis at the International Cannabis Business Conference happening April 11-13, 2018 in Berlin, Germany. Tickets are on sale today!